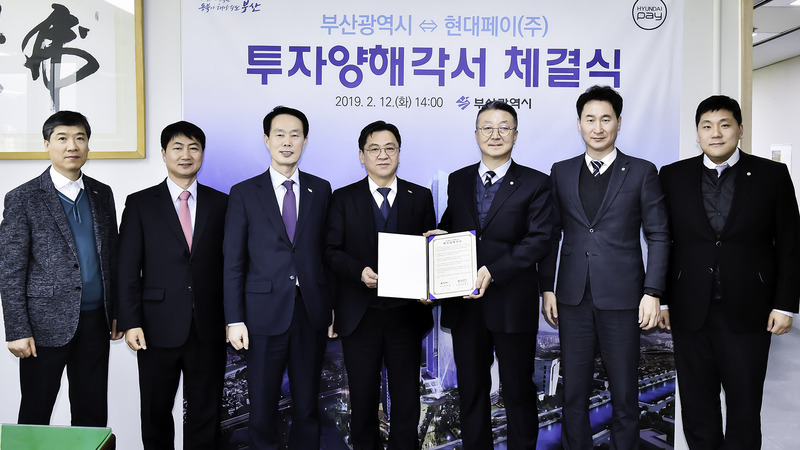 February 13, 2019, Seoul – HYUNDAI PAY stated that it entered into a memorandum of understanding (MOU) with Busan City (Mayor, Geo-Don Oh) for revitalizing the blockchain/Fintech industries on February 12 at the office of the chief of employment and economy of Busan Metropolitan City Hall. 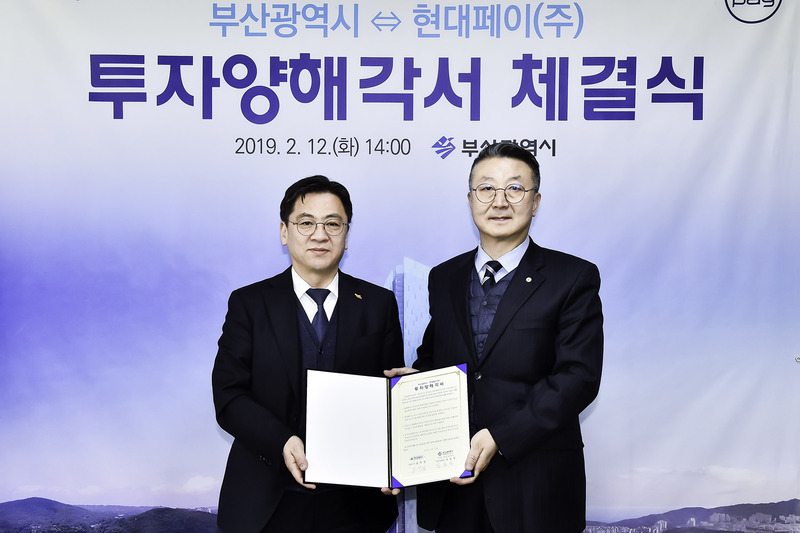 The essence of this MOU includes revitalization of blockchain/Fintech industries and job creation across Busan City through relocation of the HYUNDAI PAY headquarters to Busan and construction of infrastructure, and contribution to the development of local ICT industry through mutual growth with related start-up businesses. Busan City plans to exert various efforts including administrative and financial support for fostering Fintech industry, promoting public-private partnerships and discovering public demands, etc. HYUNDAI PAY, established by the CEO of Hyundai BS&C, Dae-Sun Chung in December 2016, is a Fintech technology company which developed a blockchain platform, Hdac, and the virtual currency wallet, KASSE, together with Hdac Technology which holds leading blockchain core technologies. 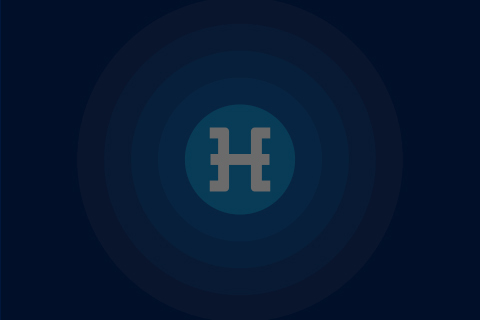 In particular, HYUNDAI PAY is carrying forward businesses with a goal to realize blockchain technologies that could be used conveniently in everyday life through virtual currency based easy payment solutions. 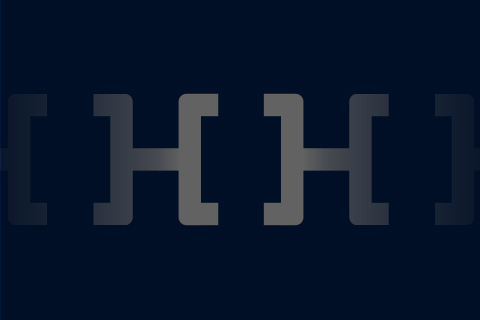 Hdac Technology is a hybrid blockchain technology company that supports both private and public blockchains and has been doing a variety of blockchain-based global businesses such as introducing solutions of IoT-blockchain integrated enterprises since Dae-Sun Chung of Hyundai BS&C incorporated its headquarters in the crypto valley of Zug, Switzerland in October 2017. Mr. Dae-Sun Chung of Hyundai BS&C, a third generation of Hyundai Group, is actively carrying forward new growth businesses by integrating state-of-the-art technologies such as blockchain and IoT and many other industries such as construction, finance, etc. 2019년 2월 13일, 서울 – 현대페이(HYUNDAI PAY)가 부산시(시장 오거돈)와 함께 블록체인ㆍ핀테크 산업 활성화를 위한 투자양해각서(MOU)를 2월 12일 부산광역시청 일자리경제실장실에서 체결했다고 밝혔다. 이번 MOU는 2021년까지 현대페이 본사의 부산 이전 및 인프라 구축을 통한 부산시 전역 내 블록체인ㆍ핀테크 산업 활성화와 일자리 창출, 부산시 전역 내 관련 스타트업과의 상생 비즈니스를 통한 지역 ICT 산업 발전 기여를 골자로 한다. 부산시는 핀테크 사업 육성을 위해 필요한 행ㆍ재정적 지원, 해당 분야 민관협력 사업 추진과 공적수요 발굴 등 다방면의 노력을 기울일 방침이다. 현대비에스앤씨 정대선 사장이 2016년 12월 설립한 ‘현대페이’는 선도적 블록체인 코어 기술을 보유한 에이치닥테크놀로지(Hdac Technology)와 함께 블록체인 기반 플랫폼 Hdac(에이치닥) 및 가상화폐지갑 KASSE(카세) 등을 개발한 핀테크 기술 기업이다. 특히 현대페이는 암호화폐 기반 간편결제 솔루션을 통해 일상 생활에서 편하게 사용할 수 있는 블록체인 기술 구현을 목표로 사업을 추진 중이다. 에이치닥테크놀로지(Hdac Technology)는 프라이빗 블록체인과 퍼블릭 블록체인 모두를 지원하는 하이브리드 블록체인 기술 기업으로, 현대비에스앤씨 정대선 사장이 2017년 10월 스위스 추크(Zug) 크립토밸리에 본사를 설립한 이래 세계 최초로 IoT-블록체인 융합 엔터프라이즈 솔루션을 발표하는 등 다각적 블록체인 기반 글로벌 비즈니스를 펼치고 있다. 현대페이(HYUNDAI PAY) 윤부영 대표는 "이번 협약을 통해 블록체인 플랫폼 Hdac(에이치닥) 기반의 안전하고 편리한 핀테크 서비스를 제공할 계획이며, 부산시와 함께 4차 산업혁명의 핵심 기술인 블록체인의 상용화와 활성화를 위해 블록체인ㆍ핀테크 산업을 적극 육성해 나갈 것"이라고 전했다. 부산시 관계자는 “핀테크는 부산시의 역점추진사업인 스마트시티와 금융중심지 조성에 핵심인 산업으로, 대표기업인 현대페이의 부산 유치를 토대로 블록체인 기반 플랫폼 및 서비스 개발에 박차를 가하고 향후 금융기관과의 유기적 연계를 통해 부산을 블록체인 및 핀테크 메카로 성장시켜 나갈 계획”이라고 밝혔다. 한편, 범현대가 3세인 현대비에스앤씨(현대BS&C) 정대선 사장은 블록체인, IoT 등 첨단기술과 건설, 금융 등의 여러 산업 분야를 융합한 신성장 사업 확대를 적극적으로 추진해가고 있다.